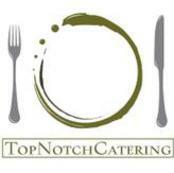 Top Notch Catering is family-owned and operated in Birmingham, Alabama since 2007. They bring the best in Corporate and Full-Service Event Catering with phenomenal food, customer care, and attention to detail. Experienced in large events as well as smaller gatherings, they are true experienced professionals. From artsy Hors D'oeuvres and elegant Buffets to dependable "Drop & Go" style luncheons and breakfasts, if you seek professionalism, consistency, and kindness, Top Notch never disappoints. Shine at the next corporate meeting or let us help you create the wedding of your dreams. Call, text, or email us today to save your date!